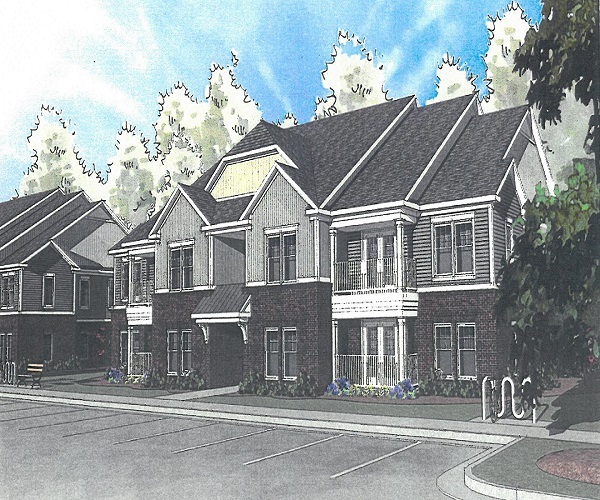 GREENSBORO, NC – Affordable Housing Management, Inc. (“AHM”) announces it has started construction of Sumner Ridge, a development consisting of seventy-two affordable apartment homes with one, two and three-bedrooms. Sumner Ridge received an allocation of 2015 Federal Housing Tax Credits through a highly competitive application process by the North Carolina Housing Finance Agency (“NCHFA”). The sale of the tax credits will generate approximately seventy percent of the equity to develop the property. That equity is being provided by Community Affordable Housing Equity Corporation (“CAHEC). In addition to the equity investment, the City of Greensboro and NCHFA are providing below market rate loans and Community Investment Corporation of the Carolinas (“CICCAR”) is providing a permanent loan. The construction loan is being provided by Branch Banking & Trust Company (“BB&T”). The rents are multi-level ranging between $237 and $705, with all apartment homes affordable for households earning below sixty percent of the area median income (“AMI”). Twenty-one units are affordable for households earning below fifty percent of AMI and fifteen units are affordable for households earning below thirty percent of AMI. Sumner Ridge apartment homes will be certified under the National Association of Home Builders’ National Green Building Standard and Energy Star v.3 providing additional savings for residents. Amenities include a community building with: management offices; fitness center; resident computer center; laundry center; resident community room; and attached covered patio. Exterior amenities include: playground; covered picnic shelter; multiple picnic areas; and bike racks. The two and three bedroom apartment homes each will have two full bathrooms; self-cleaning ranges, refrigerators with ice makers, dishwashers, pantries, washer/dryer connections, ceiling fans, and abundant closet and storage space. AHM, formerly known as Greater Greensboro Housing Foundation, is a private nonprofit organization whose goal is to provide quality affordable rental housing for low to moderate income households, including the elderly and disabled. AHM’s goals are accomplished through the development and management of affordable apartments for those households. AHM is located at 330 South Greene Street, Suite B-11. For more information on AHM, call 336.273.0568 Ext. 126, email info@ahmi.org or visit www.ahmi.org.